, New York and Washington. While Iran's madman, Mahmoud Ahmadinejad, only verbally ridiculed America in front of the U.N. and a global audience (enthusiastically cheered on by most of the Muslim world), painting the U.S. as a toothless tiger, the dogmatic North Koreans went a whole lot further by blatantly exploding a powerful nuclear device earlier this week. By manifestly disregarding the Americans and publicly presenting them to the disbelieving world as a meaningless paper tiger, Pyongyang's rulers have taken chutzpah to unprecedented levels. Amanijehad's fiery rhetoric, augmented by Bashar Assad's refusal to take the U.S. seriously and Hugo Chavez's ongoing anti-U.S. tirades pale in comparison to the 20-kiloton "statement" made over the weekend by North Korea's Communist tyrant leader, Kim Jong-il. To underscore their bravado, the North Korean bigots also fired six short-range missiles – just to make a point. Although no one officially acknowledged it, on May 25, 2009, in North Korea, World War III officially got under way – the war that would ultimately pit "rabid" states such as North Korea and Iran, for example, against states generally characterized as "moderate," including Egypt, the Gulf states and Saudi Arabia. Understand leftists' dedication to tyranny and tolerance of terror in Jamie Glazov's "United in Hate"
Forward by Bob Barney: If the following is true or not, the question is still, why haven't you heard of this before? I am not the one, nor are the Armstrong's, Flurries' or countless others from this lifetime, the ones who started these startling claims about the truth of history that we have been allowed to forget. The story of Jesus in England is almost 2,000 years old, yet very few know this! I think the following article will amaze our readers. At least four entirely separate traditions exist in the West of England relating to Jesus as a boy or young man having visited this part of Britain prior to His ministry. On England's pleasant pastures seen ? The question is, did He really visit England, and if so, for what purpose? 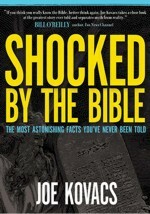 One cannot be dogmatic about this subject because the Bible is silent concerning the matter. At the end of John's gospel, however, we find the intriguing remark that most of the activities of Jesus Christ were never recorded in the Gospels, (John 21:25). This included all of His activities between the ages of 12 and 30. There is nothing in the entire Bible to suggest that Jesus could not have visited foreign parts prior to His ministry. Indeed, it plainly states that He spent time in Egypt with His family shortly after His birth (Matt. 2:13). Many assume that Jesus became a world famous figure only after His death, that His human life was lived out in obscurity, that He was known only by a handful of followers and local officials. History records, however, that the "historical Jesus" was well known even in the more remote regions of the known world of His day. Eusebius, writing in the early fourth century, records that the fame of Jesus and the knowledge of His healing miracles spread far beyond the borders of His own nation. ** Last night it was discovered that a Big Dem Donor Group was allowed to keep all 6 Chrysler dealerships open.... And, their local competitors were eliminated. ** Lithia Motor Group's owners gave $15,000 to two Democrat candidates and support nationalized healthcare. They will likely lose just two of 29 dealerships and gain 5 more. Automotive News is reporting that Chrysler is already looking to open new franchises after closing 789 dealerships. Friedrich Hayek was an Austrian economist, philosopher and intellectual considered to be one of the most important economists and political philosophers of the twentieth century. He shared the 1974 Nobel Prize in Economics for his pioneering work in the theory of money and economic fluctuations.2 Hayek's work has influenced world leaders for decades. However, at this present time in our history, it is more important than ever to remind the public about the lessons and logic he had to offer. Revisiting Hayek's work informs us of how the dramatic actions being taken by the current administration will lead us down a road that ultimately ends in the destruction of this democracy along with the freedoms and liberties we take for granted. Oh, the Republicans. Have you ever seen such moaning and crying over a political party’s losses? Maybe if you were a Democrat in 1994, and had to watch the  Republicans take over for the first time in 40 years, you know the pain the GOP is supposedly suffering now. Let’s recall why the Democrats lost so badly in 1994. Bill Clinton was a failure as President at that point, not just the failure as a person he is now, with goofs like a botched takeover of the medical industry headed by his wife Hillary and her secret meetings team. Clinton wasn’t as bad as Jimmy Carter, whose one term ended with a  misery index of 19.72, but at the start of his Presidency, Clinton’s misery index was 10.56. In contrast, George W. Bush’s misery index averaged 8.10, much less than his father at 10.68 and Ronald Reagan at 12.19. Oh woe, the Republicans. It’s not just the Democrats that are attempting to shove the elephant in the coffin and pound in nuclear nails; we have any number of bubbly chipmunks on our side chattering goofily about “new ideas” but mostly interested only in advancing their own public profiles. Patriots? It’s a punk riot. It’s time to get Biblical, here in this Christian nation ( sorry you didn’t get the memo, Mr. President). We remain, despite any word to the contrary from the chattering class,  a majority Christian nation with 76% of U.S. adults in 2008. The son of Jacob and Rachel, Joseph was the first born of his mother. He had brothers who were born to Jacob from three other women. Later, Rachel gave birth to Joseph’s brother Benjamin. Jacob (who did a lot of begating and was much admired) was in his nineties when Joseph was born, and the young boy spent copious time with his dad and became Jacob’s favorite. Uncle Sam Obama Owns GM, are you worried yet America? Forward by Bob Barney: Last year some didn't believe me when I said that Barry Obama was a Communist. A left winged anti-American zealot that would destroy America if we did not WAKE UP! We are being sold into slavery, a prediction that God Almighty promised would happen to America at the time of the end. (America is the lost Israel of the Bible). I have repeatedly pronounced that we can stop this in our time if we return to God, but this evil generation just is going headlong into destruction. We are arming our enemies, supporting terrorist against our brother Judah, and calling evil righteous, and righteousness; evil. God will not tolerate our actions much longer. If you don't want to drive around in Russian-styled cars, or be told what to think and say, you better start taking heed of our warnings... Time is running out! NEW YORK, May 19 (Reuters) - General Motors Corp's (GM.N) plan for a bankruptcy filing involves a quick sale of the company's healthy assets to a new company initially owned by the U.S. government, a source familiar with the situation said on Tuesday. Virginia short-track standout Jimmie “Wayne” Patterson died Tuesday as a result of an automobile accident near Richmond, Va. He was thrown from the pickup truck he was driving and pronounced dead at the scene, according to Virginia State Police. He was traveling westbound on U.S. 360 when he lost control of the car at the intersection with state Route 615. Mr. Patterson, 60, resided in Jetersville and operated a business in Amelia. Patterson raced in the Late Model ranks at Virginia and North Carolina speedways like Southside, South Boston, Langley. ODS, OCS, Caraway, Martinsville, and Langley. He was the first Late Model Champion at Southside Speedway in 1982 in Richmond, as well as a two-time Late Model champion at South Boston – winning titles in 1987 and 1992 – and he is fourth all-time in victories at the track. He still holds the fastest lap at Southsise Speedway at 84.722 mph. The 26 year-old record still stands. He also raced at Daytona, Richmond, North Wilkesboro, and Rockingham. Patterson was one of the first drivers to compete in NASCAR’s Busch Series (now Nationwide). He won more than 100 races and several titles at local tracks during his career. “There were two ways to race for Wayne,“ said Joe Kelly, a local radio host. “He was always go, go, go. But he was conservative in a long race. Russell Hackett of Caraway said he was one of the "best natural racer's I ever saw race." He added, " he would watch another racer, see the line he was running, and if the guy was faster, Wayne would go out, run the same line even smoother and faster." Billy Sawyer, owner of the Virginia Motor Speedway and former owner of Richmond International Raceway, fondly remembered him and some of the races in which Mr. Patterson ran. Mr. Sawyer described Mr. Patterson as “a fierce competitor,” who, “took pride in himself, who always showed up looking good and raced as good as he looked.” He also stated that Mr. Patterson, “was always a front runner,” adding he was terribly saddened to hear about Mr. Patterson’s passing. Patterson, from Chesterfield, Va., was born April 6, 1949. He raced against the likes of David Blankenship, Phil Warren, Elton Sawyer, David Blankenship, Donnie Apple and Barry Beggardly. Joe Chandler/Gazette-Virginian ... “Wayne was also a great teacher and drivers learned a great deal from him. There were so many drivers that were very intimidated by him. You had to earn your respect when racing with Wayne Patterson." Patterson raced in the 2008 "Denny Hamlin Charity Race" at Southside Speedway. Mr. Patterson is survived by his wife, Brenda Patterson, and two children. James Dobson, the founder of the Colorado Springs-based Focus on the Family Christian ministry, warned today that there is "utter evil" coming out of Washington, D.C., these days. "I want to tell our listeners something has come up that is so shocking and so outrageous, we must make our friends out there aware of it," he said on his daily radio program. "I'm going to speak very bluntly today because there's no other word for it: the utter evil that's coming out of Congress," he said. "I've been on the air 32 years and I've never seen a time quite like this. "The radical left controls the executive branch through the president, and the Congress where the Democrats have control of both the House and the Senate," he said, adding the courts are expected to move even further to the left. The audio of the program is linked here. On the left is my wife, in the middle is my Mother in Law, besides her is my sister and on the right is my sister in law.No.. I believe that the person in the middle is my wife beside my sister in law and to the right is my Mother in Law and left is my Mother..
My memory is not that good anymore and I do not know if my daughter was with us that day. This is the view from Europe and I think right on target! HENRICO, VA (WWBT) - A medical examiner investigating the death of former NASCAR driver Kevin Grubb says Grubb died from a self-inflicted gunshot wound to the head. Police spokesman Lt. Doug Perry said Thursday that personnel at the Alpine Motel (7000 block of Brook Road) discovered the 31-year-old Mechanicsville native in his room at about 11 a.m. Wednesday. Editor's Note: The following report is excerpted from Jerome Corsi's Red Alert, the premium online newsletter published by the current No. 1 best-selling author, WND staff writer and columnist. Subscriptions are $99 a year or $9.95 per month for credit card users. Annual subscribers will receive a free autographed copy of "The Late Great USA," a book about the careful deceptions of a powerful elite who want to undermine our nation's sovereignty. A new study shows that ethanol production consumes much more water than was previously thought, as much as 2,000 gallons of water for every gallon of ethanol produced in states where crops must be irrigated, Jerome Corsi's Red Alert reports. Publishing results in Environmental Science & Technology, scientists from the University of Minnesota concluded, "The results show that as the ethanol industry expands to areas that apply more irrigated water than others, consumptive water appropriation by bioethanol in the U.S. has increased from 1.9 to 6.1 trillion liters between 2005 and 2008, whereas U.S. bioethanol production has increased only 133 percent from 15 to 24 billion liters during the same period." The U.S. military is confirming that it has destroyed some Bibles belonging to an American soldier serving in Afghanistan. Reuters News says the Bibles were confiscated and destroyed after Qatar-based Al Jazeer television showed soldiers at a Bible class on a base with a stack of Bibles translated into the local Pashto and Dari languages. The U.S. military forbids its members on active duty -- including those based in places like Afghanistan -- from trying to convert people to another religion. Reuters quotes Maj. Jennifer Willis at the Bagram Air Base, north of Kabul, who said "I can now confirm that the Bibles shown on Al Jazeera's clip were, in fact, collected by the chaplains and later destroyed. They were never distributed." According to the military officials, the Bibles were sent through private mail to an evangelical Christian soldier by his church back home. Reuters says the soldier brought them to the Bible study class where they were filmed. The Chairman of the U.S. Joint Chiefs of Staff, Admiral Mike Mullen, told a Pentagon briefing Monday that the military's position is that it will never "push any specific religion." PROOF WHY THESE "LEADERS" are LIARS, CHEATS and Traitors! Let's make sure they are all given the boot! In the last century, the impassioned words and actions of patriots like Winston Churchill – along with America’s heroic help and sacrifice – saved Europe. The eloquence and actions of “I’ve been to the mountaintop” Martin Luther King Jr. brought America to an unprecedented level of social justice. The peerless oratory and tireless diplomacy of the man who would become Israel’s Foreign Minister, Abba Eban convinced the entire world that after the wanton murder of six-million Jews in the Holocaust its straggling survivors deserved their own state of Israel. The inspiring words and decisive actions of President Ronald Reagan ended the Cold War, tore down the Berlin Wall, and restored economic prosperity to America. The efforts of these towering figures resulted in a more highly-evolved world. We have also seen the opposite in totalitarian leaders like Hitler, Mussolini, Fidel Castro, Pol Pot, Mao, and Saddam Hussein, among others, who exploited their masses, destroyed their economies, brought havoc, turbulence, grief and massive death within and outside of their countries, and made the world a more dangerous and threatening place. The one thing all of these virtuous and evil men had in common was love for their respective countries, in fact a burning passion that superseded all else. The virtuous believed in freedom and democracy. The evil believed in subjugation of their peoples and lifetime tenures for themselves in order to actualize their goals of conquering their eternal enemies – Americans and Jews. Today, we have a new crop of inveterate America- and Jew-haters, among them the Marxist leader of Venezuela Hugo Chavez, Nicaragua’s president Daniel Ortega, Iran’s “death-to-America-and-Israel” study-in-abnormal-psychology Mahmoud Ahmadinejad, and the ever-sabotage-America and anti-Semitic “leaders” of the 22-Arab states that surround Israel. I have either read about or observed firsthand all of these people. Yet in my decades of commenting on the political scene, I cannot recall a single leader of any country or regime who has ever spoken negatively of his country or tolerated others speaking ill of the land or the people he represented-- Until now-- Bizarre and, yes, repugnant as it is to our essentially centrist country, America now has a president who has broken that time-honored tradition. Barack Obama, on the campaign trail and as the leader of the free world is the first U.S. president to proclaim to anyone within earshot that he, like his wife, is not proud of his country, and is all-too-willing to offer serial apologies – for America! – to Americans and foreigners alike. •In France, Obama told his audience that America “has shown arrogance and been dismissive, even derisive” toward Europe. •In Prague, Obama – in true utopian-kindergarten fashion – pledged “with conviction” that America will “seek the peace and security of a world without nuclear weapons.” In other words, destroy big bad America’s ability to defend itself! •In London, Obama made clear that the world’s financial wealth was no longer made by those inferior leaders Roosevelt and Churchill, effectively ceding America’s leading role in creating and sharing wealth to nations that have never measured up to our country’s bountiful generosity or spirit of free-market entrepreneurship. •In Port of Spain, Trinidad and Tobago, Obama again sat passively while the Marxist Ortega blamed the United States for a century of what he called terroristic U.S. aggression in Central America, again emitting not a whisper of defense on our country’s behalf. •In Turkey, Obama said – incredibly and inaccurately – that America was not a Christian nation. •And in his recent trip to Mexico, Obama said that the escalating border violence was essentially America’s fault. Get this, tax cheat to crack down on tax cheats! President Obama announced Monday a plan to prevent U.S. companies using offshore banks to deferr tax payments, saying that the effort to "shelter" money creates an unfair advantage to U.S. companies and amounts to evasion. The president also called for more transparency in bank accounts held by Americans in tax havens such as the Cayman Islands. WASHINGTON -- A spokeswoman says Jack Kemp, a former quarterback, congressman, housing secretary and Bob Dole's vice-presidential nominee, has died. Kemp had been battling cancer. Kemp had been serving at his Washington-based Kemp Partners consulting firm and remained involved in his charitable and political work. After his football career, Kemp represented western New York for nine terms in Congress, leaving the House for an unsuccessful presidential bid in 1988. He later served as President George H.W. Bush's housing secretary and ran for vice president as Bob Dole's running mate. The Veil Torn Away, what does it mean? “And when Jesus had cried out again in a loud voice, he gave up his spirit. At that moment the curtain of the temple was torn in two from top to bottom” (Matthew 27:50-51). The Bible says that the moment Jesus died, the veil in the Temple tore down the middle. What significance does this torn veil have for us today and above all, the tearing of the veil at the moment of Jesus' death? This event dramatically symbolized that His sacrifice, the shedding of His own blood, was a sufficient atonement for sins forever. It now signified that the way into the Holy of Holies was open for all people, for all time, both Jew and Gentile. During the lifetime time of Jesus, the Holy Temple in Jerusalem was the center of Jewish religious life. Here was the place that animal sacrifices were carried out and worship according to the Law of Moses was followed faithfully. Hebrews 9:1-9 tells us that in the Temple a veil separated the Holy of Holies—the earthly dwelling place of God’s presence—from the rest of the Temple where men dwelt. This signified that man was separated from God by sin (Isaiah 59:1-2). Only the High Priest was permitted to pass beyond this veil once each year (Exodus 30:10; Hebrews 9:7), enter into God's presence for all of Israel, and make atonement for their sins (Leviticus 16).